Boston has the worst rush-hour traffic in the country, says INRIX’s annual report tracking traffic across the world. 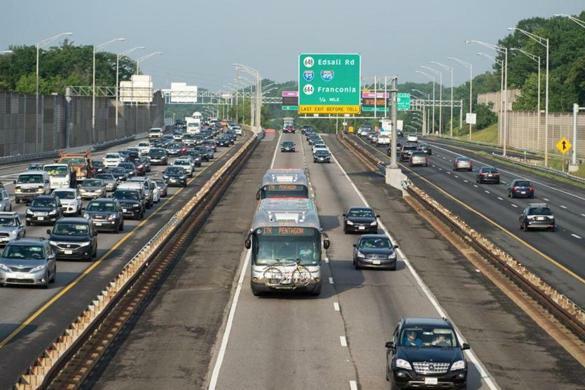 It’s probably crossed your mind while grinding through another commute into downtown, or in one of those horizon-bending backups on Routes 128 or 3: Boston must have the worst rush-hour traffic in the country. Now you can back that up with numbers. 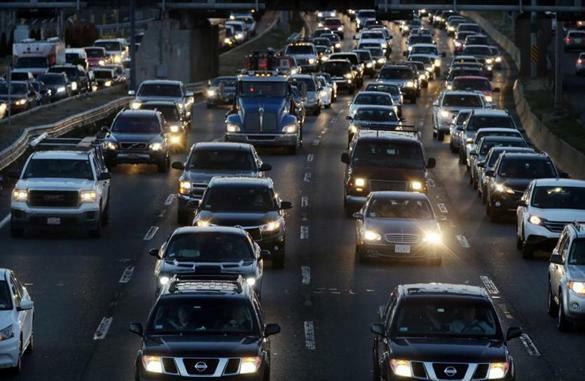 Gridlock during the peak of the morning and evening commutes was worse in Boston in 2018 than in any other major metropolitan area, even Los Angeles with its infamous traffic, according to a report from Inrix, a transportation data firm that publishes annual rankings of congestion around the world. Inrix has been ranking areas on congestion for more than a decade, and for this year’s report the company used a new metric that resulted in Boston faring much worse than in previous years. Previously it measured traffic throughout the entire day, and in 2017 LA earned the notorious honor of having the worst, while Boston came in seventh. But for 2018, Inrix looked at how much longer it took to commute during the worst peak periods than when roads are unclogged. Essentially, Inrix measured the time penalty for driving during rush hour, and there Boston topped the list of US cities: Commuters who drove at the worst peak hour conditions would have spent 164 hours in traffic that they would have avoided under regular conditions. On this metric, Los Angeles ranked sixth, behind Washington, D.C., Seattle, Chicago, and New York. “Los Angeles experiences high levels of congestion throughout the day, but its peak severity is less than Boston,” the Inrix report said. Inrix collects traffic data from sensors in phones, vehicles, and GPS systems and sells that to trucking fleets, government agencies, and other customers such as billboard operators. Those data are also the basis of its annual ranking of 200 metro regions around the world. In ranking cities around the world, Inrix listed cities both by economic impact and hours lost. On the economic scale, Boston comes in eighth, behind cities in Europe and Latin America, with Moscow topping the list. Bogota had the most hours lost to peak period congestion: 272 in 2018. Analyst Trevor Reed said the Inrix ranking shows how quickly traffic deteriorates during rush hour. A smaller, older, and more compact region such as Boston, he said, simply just wasn’t built to handle a sudden influx of cars. Inrix did find an ever-so-slight improvement in Boston traffic from 2017, when it took drivers 182 more hours to commute during rush hour. Even so, that was again the worst in the country. But the Inrix report comes with caveats; and, indeed, the company has been criticized previously for the methodology it uses to rank metro area congestion — using travel speeds to measure the severity of the gridlock, for example, and not total time spent driving. Some transportation specialists have argued Inrix’s approach disadvantages densely built cities such as Boston, where some motorists may spend their entire commute in congestion but aren’t traveling very far. In big metro areas that are more spread out, such as Houston or Phoenix, drivers may spend more time in the car, but not all of it in congestion. Despite all the technology in modern vehicles, measuring traffic congestion appears to be an imprecise science. Indeed, using similar peak-vs.-nonpeak metrics, the GPS company TomTom found that Boston doesn’t even rank among the country’s 10 worst. 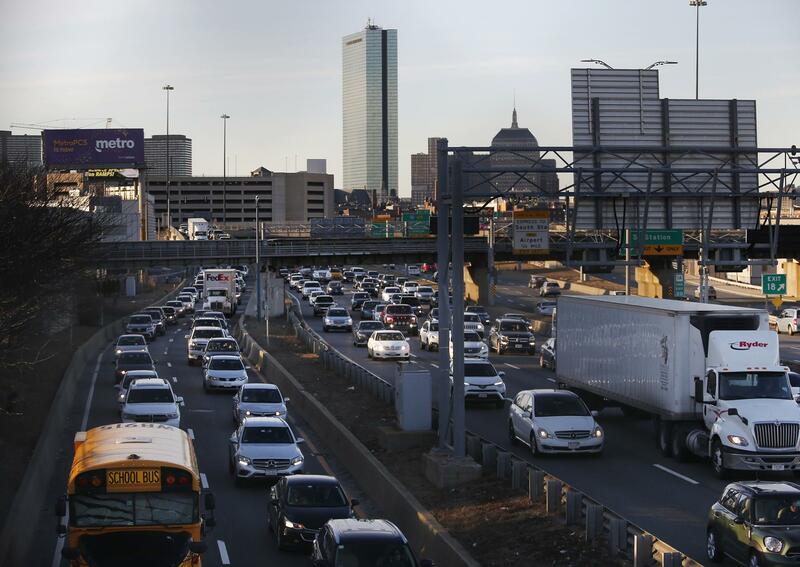 But Boston-area drivers probably don’t need a hard number to know traffic here is bad — and getting worse, despite billions spent on the Big Dig and other highway improvements. The Baker administration has taken note. Pollack’s agency is scheduled to release an analysis of the reasons and potential solutions for congestion this spring. Though she declined to discuss details, Pollack said the solutions will likely differ location to location, from changing traffic signals and street markings on certain roads, to new policies on planning road construction or responses to accidents. Governor Charlie Baker, meanwhile, has argued the best way to reduce traffic is to improve public transit. But while the administration is spending billions on MBTA repairs and modernization, the agency is also planning to raise fares later this year, which may undercut Baker’s efforts to make the system more attractive. Boston officials said they are primarily focused on improving bicycling and walking options, traffic signals, and getting new fees assessed on Uber and Lyft to encourage customers to use carpool options rather than taking individual trips. But transportation activists said the Inrix results should persuade officials to explore “congestion pricing” schemes, which discourage driving during peak hours by charging new or higher tolls. Last year, Baker vetoed a version of that idea, which would have offered discounted tolls to Mass. Pike drivers at off-peak hours. Ari Ofsevit, of the advocacy group Transit Matters, suggested the state get permission from the federal government to put tolls on highways that don’t have them — such as Interstate 93. That may win political support from drivers on the Massachusetts Turnpike and other toll roads who believe they have been unfairly targeted, while discouraging traffic into Boston on other highways, he said. Baker recently said the state will reconsider congestion pricing but remained reluctant because it could be unfair to low-income drivers who have no choice in their commuting. Pollack is skeptical, too, noting that Inrix’s data show cars in London — which has been levying congestion tolls for a decade — are today moving slower than in Boston. However, other studies have shown London traffic fell by 15 percent after the charge first went into effect. 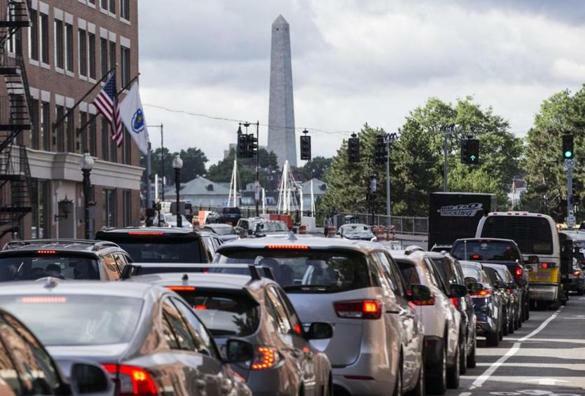 And Mayor Martin J. Walsh has all but rejected a congestion charge for Boston — even though it was one of the recommendations that an environmental commission submitted to his office in January. “I don’t know how it got in there,” Walsh recently said during a recent speech, drawing laughter from a crowd of business executives. Correction: This article was updated to correct Boston’s ranking among cities worldwide.